Lutein and Zeaxanthin, branded "Lutemax™ 2020", the well-established “eye vitamins,” are two of the most effective natural compounds to support better vision. Collectively referred to as “macular pigments” these carotenoids are dietary pigments that collect in the macula region of the eye where they act as a blue light filter to protect the eye’s underlying retinal cells, and lend support for macular degeneration. Sea buckthorn oil has been shown to reduce symptoms of dry eyes and scratchiness by stimulating the eye’s natural lubrication response. Derived from the fruits and berries of the Sea Buckthorn plant, this unique ingredient is rich in vision-boosting carotenoids and tocopherols, and contains essential fatty acids to support the body’s natural defense against eye-related inflammation and tissue damage. Vitamin A is an essential antioxidant compound that protects the eye’s macula, lens, and cornea. It accomplishes this by supporting the body’s natural ability to combat free radical damage, oxidative stress, and inflammation which can impair eye function. Vitamin E works together with Vitamin A to keep eye cells and tissues healthy. It is a fat-soluble antioxidant that aids the body’s natural defense against oxidative stress and inflammation, which supports better vision and eye health as we age. Take 1 softgel per day, or as directed by a healthcare practitioner. As we get older, the eyes become more vulnerable to damage and the harmful effects of screen-emitted blue light (junk light). Eye Defense™ is designed to support strong eyes and better vision at any age. Research suggests that the compounds in Eye Defense™ may support long-term eye health and protect against the harmful effects of blue light from extended screen time. Lutein (L) and zeaxanthin (Z) are collectively known as “macular pigments.” These are dietary carotenoids located in the eye that lend support to the center of the macula--the region of the eye most susceptible to photo-oxidative damage. L and Z act as filters of high-energy blue light to support healthy vision and protect against oxidative stress and inflammation. Higher intakes of L + Z are associated with a reduced risk for degenerative eye disorders like age-related macular degeneration (ARMD). 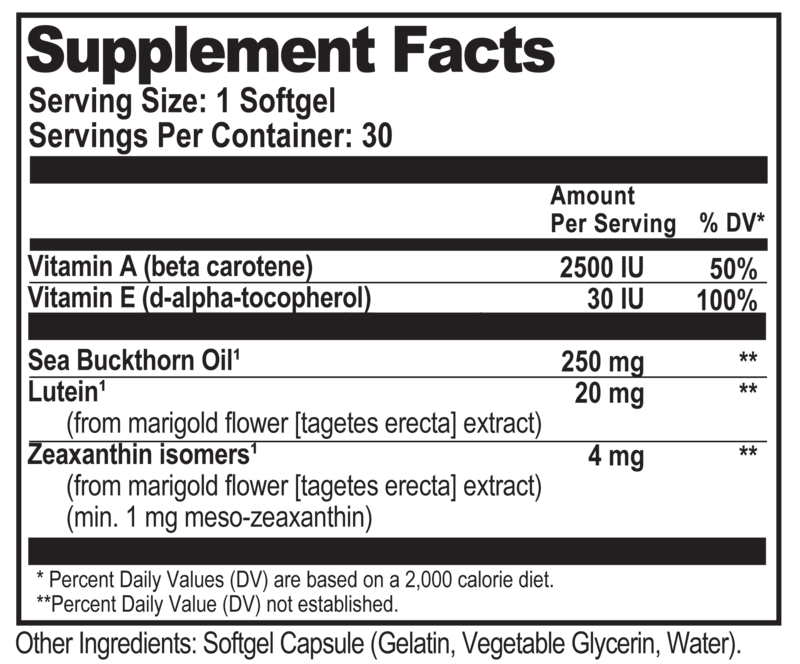 [3, 4, 5] Lutemax 2020 features a 5:1 ratio of lutein-to-zeaxanthin, the same ratio found in nature that is shown to maximally support eye health. Sea buckthorn oil has been shown to reduce symptoms of dry eyes and scratchiness by stimulating the eye’s natural lubrication response. 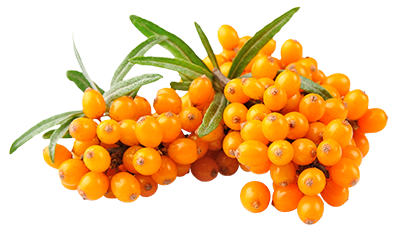 Derived from the fruits and berries of the Sea Buckthorn plant, this unique ingredient is rich in vision-boosting carotenoids and tocopherols, and contains essential fatty acids to support the body’s natural defense against eye-related inflammation and tissue damage.